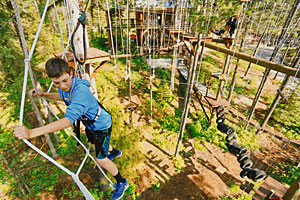 You will love choosing from among 50 different activities including ziplines, ropes course, giant swing, swimming area and more. Book online or walk-in. Where is the Alpine Slide? 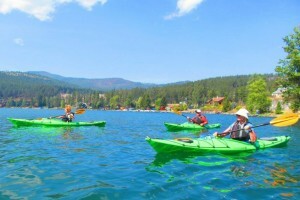 Whitefish Mountain Resort has the only Alpine slide in the Flathead Valley. From downtown Whitefish cross over the viaduct on Wisconsin Avenue, then make a right on Big Mountain Road. Turn right at the Welcome sign and head to the base lodge. What is an Alpine Slide? Located along chair lift #6 on Whitefish Mountain, the Alpine Slide is accessed by the chairlift. 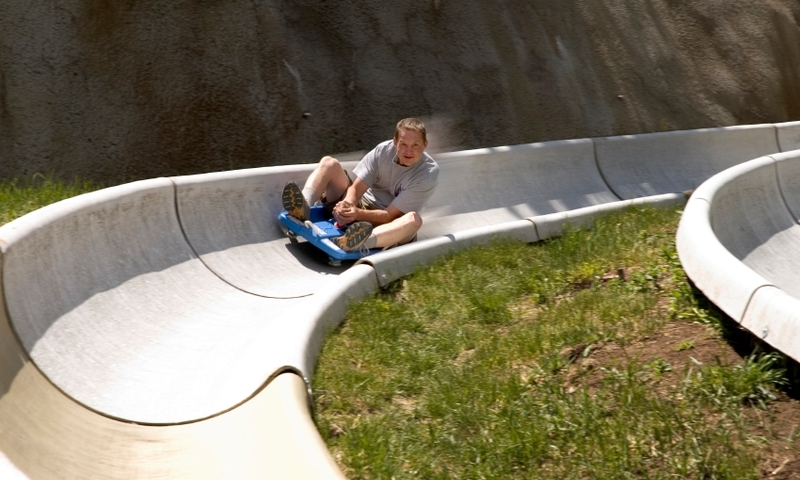 Once at the top of the slide, riders position themselves on a small plastic slide with a center hand-brake. You control your speed with the help of the hand-brake. The Alpine Slide track varies from straight-a-ways to deep curves, but is appropriate for all ages. The only regulation is that children under 48” tall must be supervised and share a sled with an adult. When is Alpine Slide open? 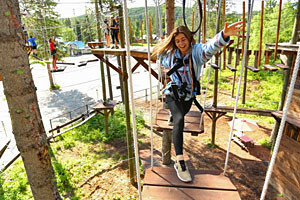 The Alpine Slide opens when Whitefish Mountain kicks off its summer season between June and September. 10am-6pm. Weekends only in September. 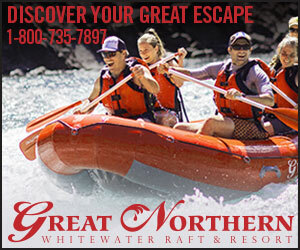 How much does Alpine Slide cost? One ride down the Alpine Slide is $8 or get 4 rides for $25.